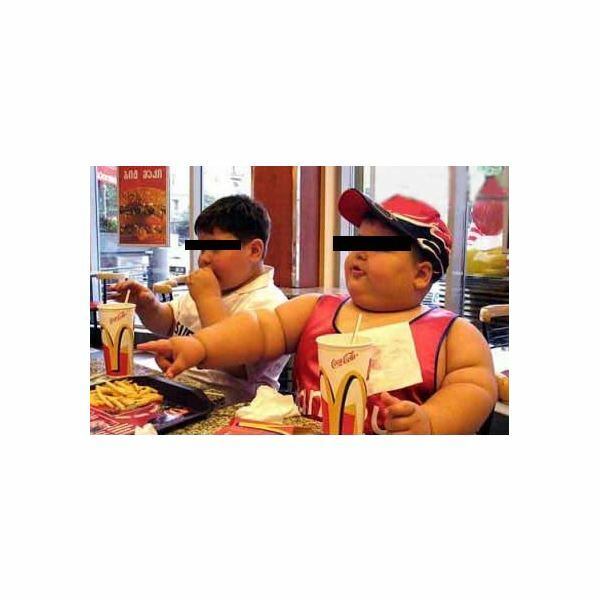 The number of overweight children worldwide is increasing at an alarming rate. This is not such a shocking revelation considering the inactive lifestyles of children today. Many children spend less time playing outside and more time watching TV, playing video-game console or surfing the internet. Moreover, in today’s busy world, Kentucky Fried Chicken is every mom’s new home-baked chicken. As quick and easy became a reality, preventing and managing obesity in children became a real problem. Leading a healthy lifestyle begins with the parents. Adapt the way you eat and how you spend your time together. It is time you lead by example. BMI or Body Mass Index uses weight and height measurement to calculate the percentage of body fat in your body. Use a BMI Calculator and find out if your child is overweight or obese. If BMI is below the 5th percentile, your child is underweight; if BMI is between 5th and 85th percentile, your child is normal weight; if BMI is between 85th and 85th percentile, your child is overweight; and if BMI is above the 95th percentile, your child is obese. BMI should not be considered as the perfect measurement but rather, just a good indicator of body fat. • Do not overwhelm them; introduce one healthy food at a time. • Start by giving them small servings. Allow them to ask for more food if they think they’re still hungry. • Do not use food as reward. • Eat healthy as a family. • Eat breakfast. Do not let your child substitute healthy breakfast food with a donut or bagel from their school canteen. • Do not stock on soft drinks, chips, cookies and candy. Buy low-fat fresh juice and low-fat biscuits instead. • Introduce more fruits and vegetables into their daily meal. • Limit television and computer time to two hours a day. • If you have a family pet, give your child the responsibility of exercising them, that way, they will not only learn the value of responsibility but also be physically fit as well. • Encourage them to play outside with your neighbor’s kids. Although running around the backyard and running on a treadmill are physically the same, children tend to respond more to fun physical activities. • Exercise as a family. It can be as simple as walking around the park together, swimming or as tedious as hiking or kayaking. Not only can these be physically good for all of you but also a great parent-child bonding opportunity. • Encourage them to join soccer, basketball, gymnastics or any school activity that involves physical exercise. Do not push them too hard, learn to listen what they really want and help them find something they are comfortable with. In preventing and managing obesity in children, it is important that your child understands why you are doing this. It is imperative that they know the undesirable consequences of being obese, not only with physical health but with their self-esteem as well. As parents, it is our duty to help them prevent and manage their weight problems. Obese children, like any other children, are sensitive and easily breakable – they need understanding, encouragement and support from parents. This is not a medical advice and not meant to treat, diagnose, prescribe or cure any ailment. Check with your physician first before following any advice you have read on BrightHub.com. Consult your doctor before you start, stop or change anything that has been previously prescribed to you.